Music — at least music that which has anything to say — could not exist without tension. Blues music, in particular, would be a figment in its absence; a bluesman relies on tension to make his guitar strings sound and tension in his soul to sing lyrics that resonate. 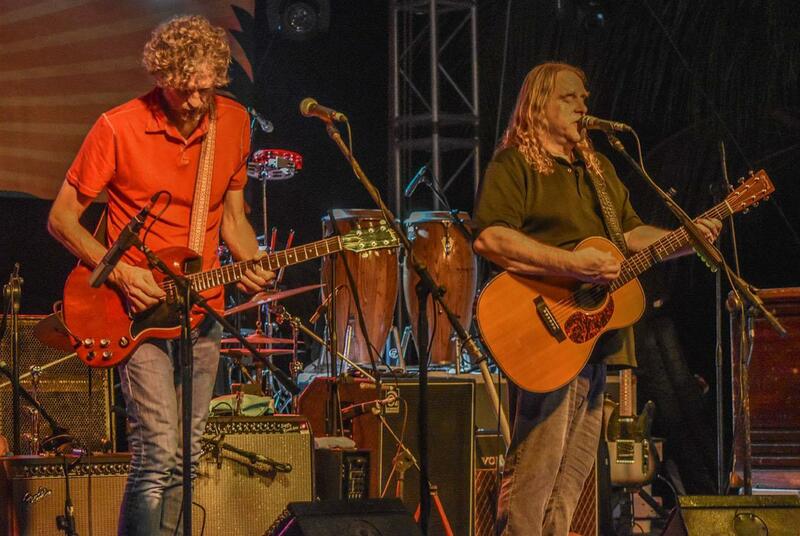 Gov't Mule just so happened to begin recording its tenth studio album Revolution Come, Revolution Go with tension at (or near) an all-time high: Election Day 2016. The push-pull between Democrat and Republican, majority and minority, traditional and progressive, globalism or isolationism, regulation or deregulation (and seemingly anything one might conceivably take sides on) had seldom felt so pronounced. This environment cultivated the band's most critically acclaimed release since 2001's The Deep End, which was written in the wake of founding member and bassist Allen Woody's passing (grief, of course = tension). Lead guitarist, singer, and principal songwriter Warren Haynes developed a kinship with Woody when they joined the legendary Allman Bros. Band in 1989. Five years later, the two recruited drummer Matt Abts and recorded Gov't Mule's self-titled debut. Since then, the band has expanded from a power trio to a quartet, consisting of Haynes, Abts, Danny Louis (guitar, keys, and backup vocals), and Jorgen Carlsson (bass). At the core of the Gov't Mule's sound are Haynes' gritty electric blues riffs and commanding vocals, but the group also draws from gospel, soul, jazz, funk, and country to create a varied repertoire. They are also known to splice a well-placed cover or two into their sets, whether it be The Beatles (check out their great interpretation of "She Said, She Said"), Pink Floyd, or (naturally) the Allman Bros.